The plain base crafted from gold plated brass metal has been superbly adorned with glittery red CZ stones and interspersed with glittery white stones at 1/3rd interval on the complete length of the circumference. The simple yet elegant design of this pair of fashion bangles is definitely their best aspect. 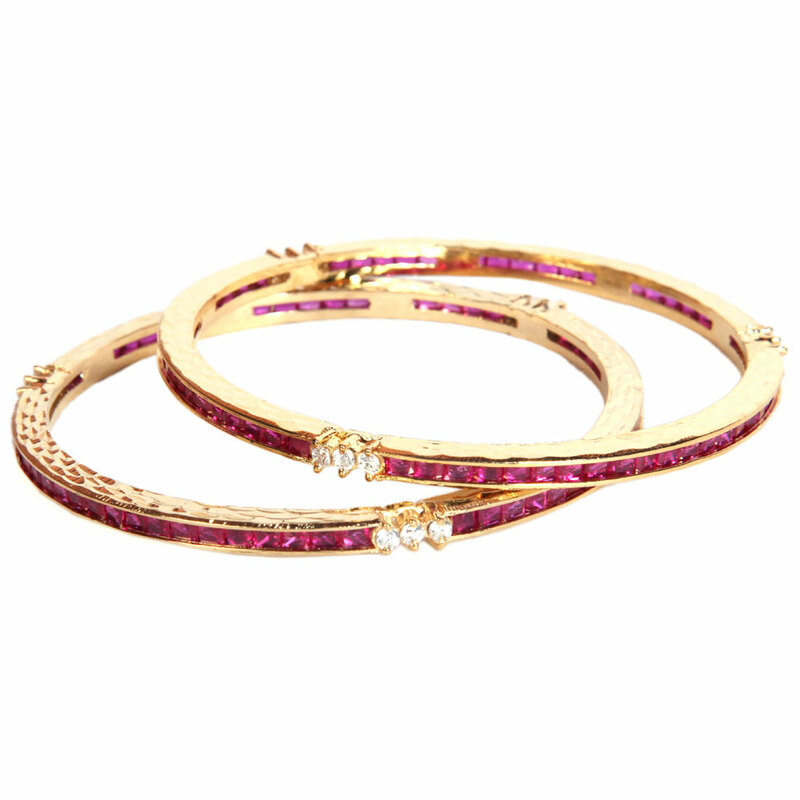 The plain base crafted from gold plated brass metal Read More..has been beautifully adorned with glittering red CZ stones and interspersed with glittering white stones at 1/3rd interval along the entire length of the circumference. Show Less..